If you are searching for experienced, professional audiologists in Fairfax, VA, for a free hearing screening, hearing aids, hearing protection, or other audiology services, come visit Ascent Audiology & Hearing. We proudly serve the Fairfax community, and we have over 1000 five-star reviews from satisfied patients to support us. Ascent Audiology & Hearing welcomes patients from Fairfax, VA with committed customer care and exceptional service, backed by years of experience. We can accommodate any of your hearing needs with our full suite of audiology services. During your free hearing screening and consultation you will find out if you have a hearing loss, how bad it is, and what can be done to help. And if you already wear hearing aids, we'll check the programming and see if it's the best prescription for your current hearing ability, and consult with you about any required repairs and maintenance, new technology, hearing rehabilitation, accessories and more. Research has shown us that hearing loss is often associated with other conditions, including diabetes, cardiovascular disease and dementia. As audiologists in Fairfax, VA, we work closely with your primary care physician to provide you with hearing and health solutions that work for, and improve, all areas of your life. You are invited to come in for a free hearing screening and consultation with one of our experienced, caring audiologists. We are Doctors of Audiology, and our expertise is in hearing, hearing loss and hearing solutions. As audiologists in Fairfax, VA, we have spent years fitting patients with the right hearing solutions for their individual needs. Once your hearing condition is diagnosed and treated, we continue to work with you, fine-tuning your devices for optimal results. We also work with our patients to re-train their brains to regain lost sounds. As your hearing changes over time, we are here for you every step of the way. Using state-of-the-art diagnostic equipment, we will give you with the most accurate diagnosis of your hearing condition. With today’s modern technology, we are able to provide you with the most advanced solutions for your hearing needs. We work with various hearing device manufacturers to give our patients access to the most discreet, easy-to-use and technologically advanced hearing aids on the market. We have the widest selection of hearing aids in Fairfax, VA allowing us to match you with the right hearing aids for your exact needs. And you always have our risk-free, no-obligation 30-day free trial period to try them out. 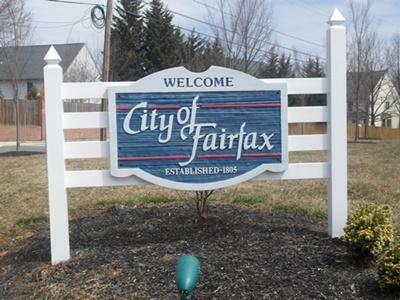 We are a short drive from Fairfax, in nearby Falls Church. At Ascent Audiology in Fairfax we pride ourselves on the personalized care we provide for each and every patient. But don't take it from us. See what our patients say.